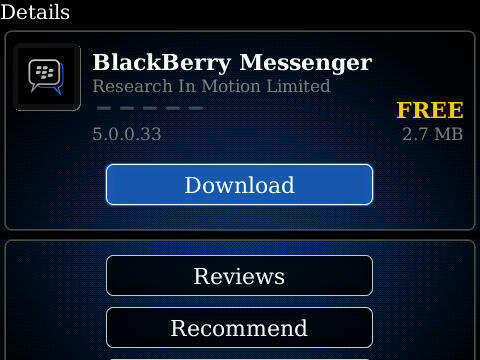 Where can I find BlackBerry Messenger 5.0? BlackBerry Messenger 5.0 can be downloaed via BlackBerry App World or directly from your mobile browser at blackberry.com/messenger, Both links allow you to download and install BlackBerry Messenger 5.0 instantly over the air. First things first. Before we start adding contacts and chatting away, you'll want to be sure your profile information is correct. 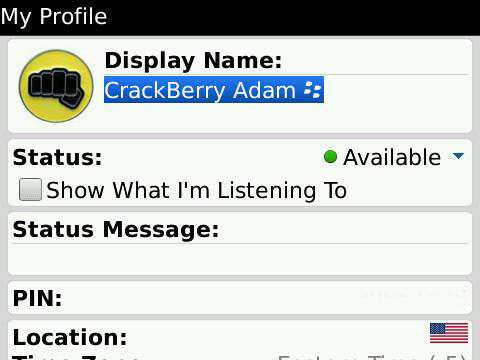 To edit your info, Enter BlackBerry Messenger 5.0 and click on your name on the top of the screen. From here you will be able to edit your profile name, avatar and status. You will also see other information such as your PIN and barcode. Here you may edit your profile name and avatar, as well as choosing your availability and status message. To change your avatar, click on the box in the top left and you will be able to select an image from your device to use as an avatar. 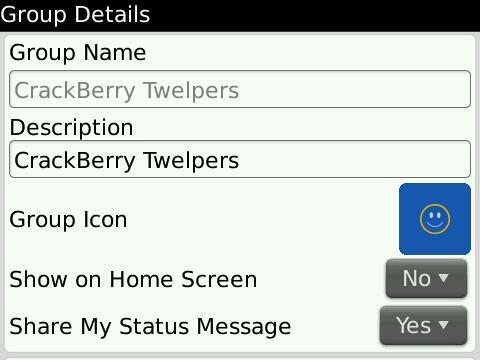 Here you will see you device PIN (so others can easily add you to BlackBerry Messenger) and also your barcode. Your barcode is your unique identifier that allows for quickly adding to someone's contact list by simply scanning the barcode. Also displayed is your location information, and you can choose if you'd like to display it to other contacts. Last but not least you have the ability to change you status from Available to Busy or create a custom status. Enter the options screen by pressing the Menu key and choosing 'Options'. 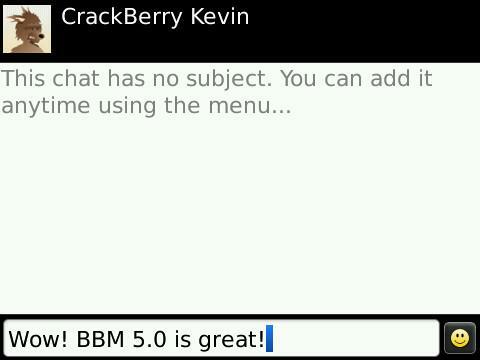 From this screen you will be able to customize BlackBerry Messenger 5.0. You can choose to have messages show in your Messages Application, choose the conversation style, the number of recent updates to show, backup/restore your contacts and more. When you first start up BlackBerry Messenger 5.0, you'll want to add some contacts. You can do this the old fashioned way by entering a users PIN or email address, or you can scan their barcode. A unique 2D barcode is assigned to all BlackBerry Messenger users (much like a PIN) and allows you to easily add contacts just by scanning the image with your device camera. To add a contact via PIN, press the Menu key and select Invite Contact. From there choose 'Enter a person's email address, PIN or name'. Here you type in the persons PIN number or email address, and you will also be able to edit the message sent along with the request. When you are finished, select 'Send' and you're finished. The contact will move to 'Pending' until they either accept or decline the request. Perhaps the easiest way to add a contact is to scan their barcode. A barcode is a 2 dimensional image that is unique to each user. 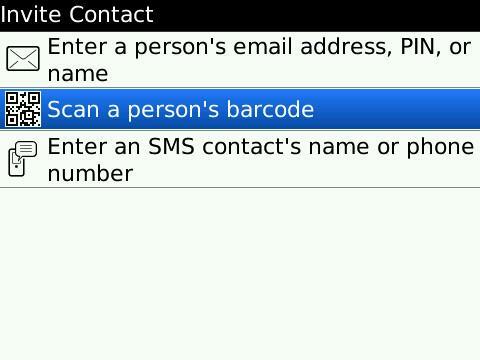 The addition of the barcode to BlackBerry Messenger 5.0 makes adding contacts quickly a much easier task. 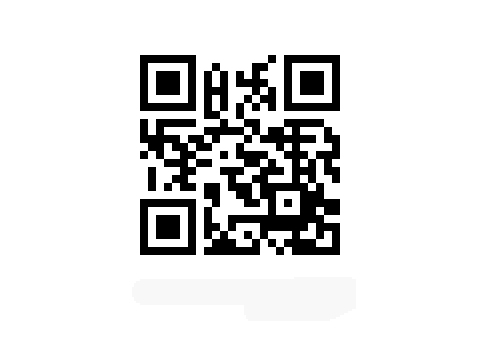 To add a contact via barcode, press the Menu key and select Inivte Contact (or choose Scan a Barcode). Choose 'Scan a persons barcode'. This will activate your device's camera and allow you to scan a barccode - be it on another device, PC screen or business card. You simply hold the camera to view the barcode and once the image is recognized your device will beep and the contact will be moved to 'Pending' until they accept or decline the request. This works in the same manner as adding via email or PIN, however you can enter the contacts phone number to add them to your list and have the ability to message them via SMS. 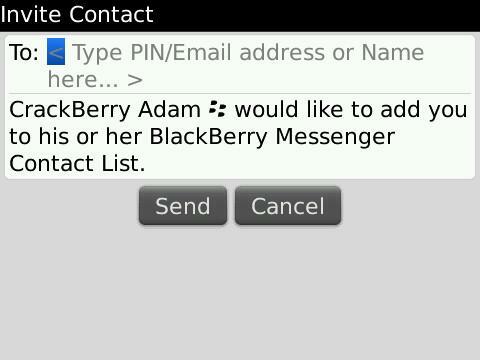 To use the integrated threaded SMS feature, you will have to add contacts to your BlackBerry Messenger 5.0 contact list. 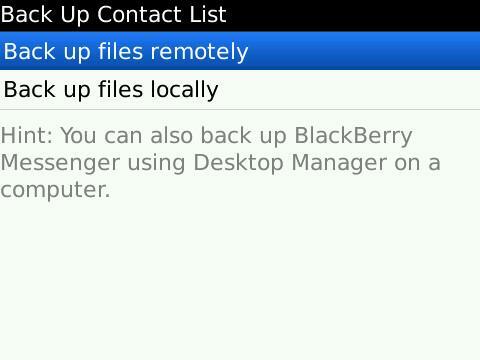 If the user doesn't not have a BlackBerry, you will need to add them by this method. Users who are not in your BlackBerry Messenger contacts will not show in the threaded SMS within BlackBerry Messenger, only in the native SMS app (standard on lower OS versions or threaded on OS 5.0). Once you've added some contacts you'll want to start sending messages. To do this, simply highlight the contact in your list, and either click on their name or press the Menu key and choose 'Open Chat'. From here the chat window will open and you're up and running. Pressing the Escape button will exit the chat but keep it open, allowing you to have multiple conversations at once. 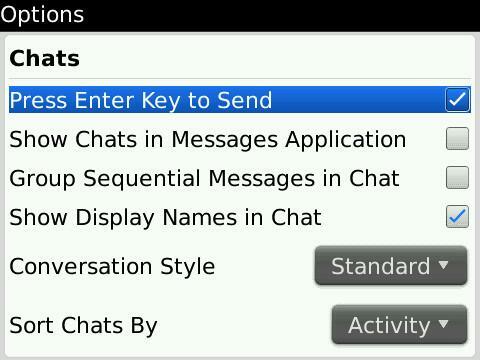 To close the chat, highlight it from the Chat list, press Menu and choose 'End Chat'. 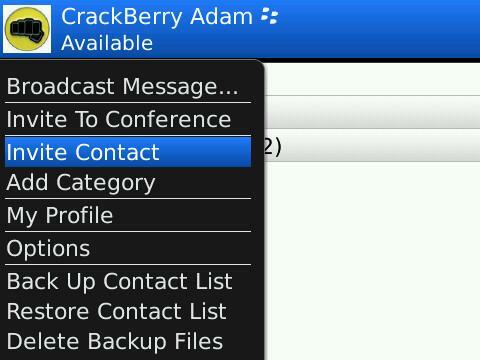 You can also start a chat (or conference) with multiple contacts in BlackBerry Messenger 5.0. 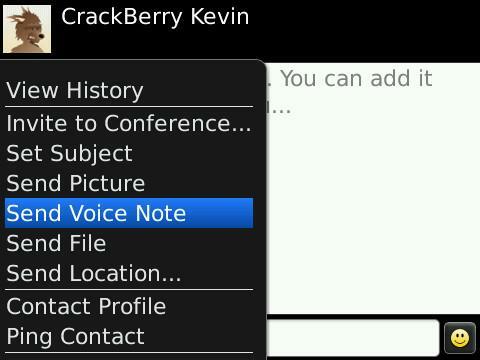 To do this, highlight the contact in your list, press the Menu ket and choose 'Invite to Conference'. This allows you to start a group chat with multiple contacts and works in the same manner as having a one on one chat. 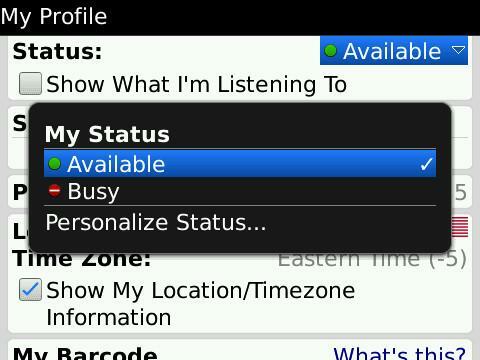 BlackBerry Messenger 5.0 also adds the option to send a 'Broadcast Message' to mulitple contacts. This is a great feature for getting a message out to multiple contacts at once. To send a broadcast message, press the Menu key and choose 'Broadcast Message'. From here you may enter your message and choose the contacts to which you'd like to send. When finished choose 'Send' and your message will be sent. 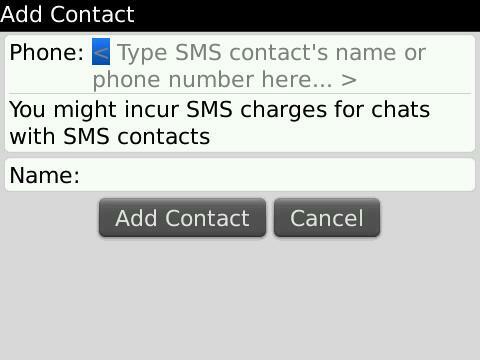 With BlackBerry Messenger 5.0 you have the ability to send media to a contact. 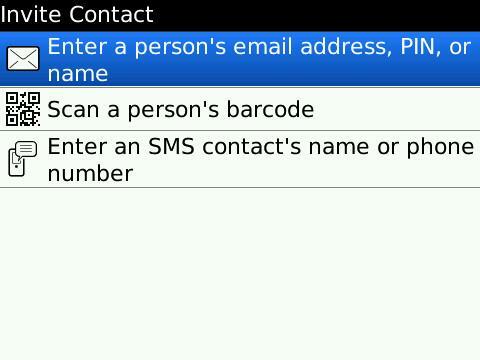 You can send a file, picture or voice note. 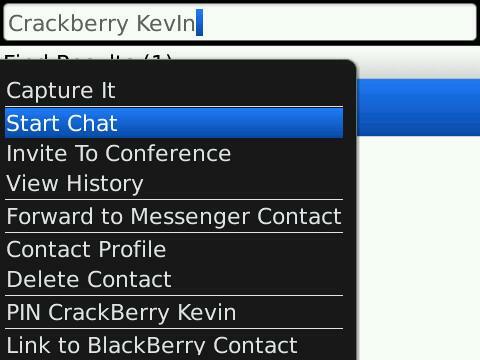 Start a chat with a contact and press the menu key. Choose 'Send Picture', 'Send Voice Note', or 'Send File'. For file or picture you will be prompted to choose the file and confirm. For a voice note, you be prompted to start recording the message. 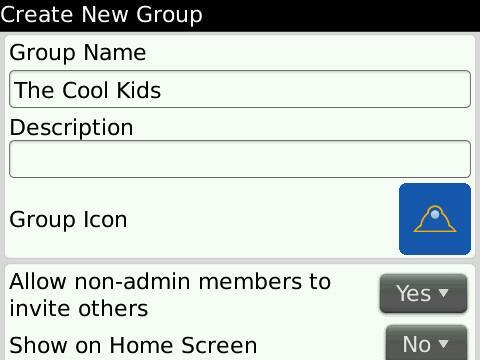 Perhaps one of the coolest new features in BlackBerry Messenger 5.0 is the addition of groups. You now have the ability to create custom groups (much like a conference) and chat with contacts, share pictures, calendars and more. To create a group, press the menu key and choose 'Create New Group'. Add the group name and description and choose an icon. You can also choose to have non-admin members authorized to invite contacts. From the next screen you can choose from your contacts to invite to the group. After the group is created it will appear in your Groups list. Any message you send to the group will go out to all members. This is helpful for lists for work, friends etc. and allows quick, instant communication. 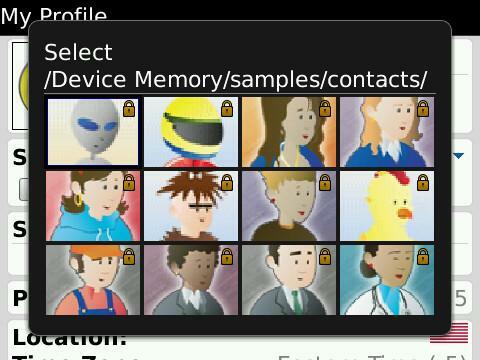 In the group area you can also send pictures, lists or calendars. To change group options, press the Menu key and choose 'Group Details'. Here you can choose to have the icon shown on the home screen (where the icon will become an application of its own, allowing you to click directly to the group chat), group options and the group barcode. With the group barcode, you can easily add members by having them scan the barcode the same way you would add a contact by barcode. You also have the option to change how messages appear in the Message Application. Scroll to 'Message List Intergration' and click 'Settings'. Here you can choose what displays in the Messages list. 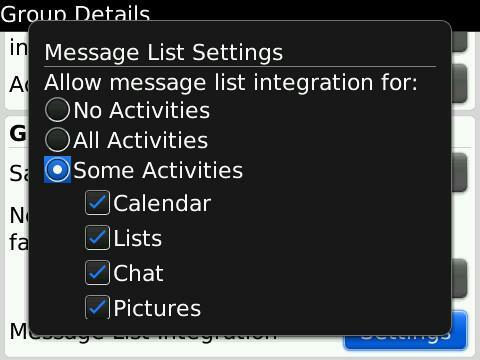 Select 'No Activities' to keep everything within BlackBerry Messenger 5.0, select 'All Activities' to show everything in your message list (chats, pictures etc.) or choose 'Some Activities' to choose what you would like shown in the messages list. To leave a group highlight the group in your list, press the Menu key and choose 'Leave Group'. If you choose to have the group's icon placed on the home screen, you will have an icon for the respective group that acts much the same as a messages icon. You will receive a notifier on the icon, as well as a banner notification when you receive a message for the particular group. When you click on the icon you will be taken directly to the group chat inside BlackBerry Messenger If you choose not to have the icon display, you're BlackBerry Messenger icon will still show a notifier, and you will see the banner icon as well. 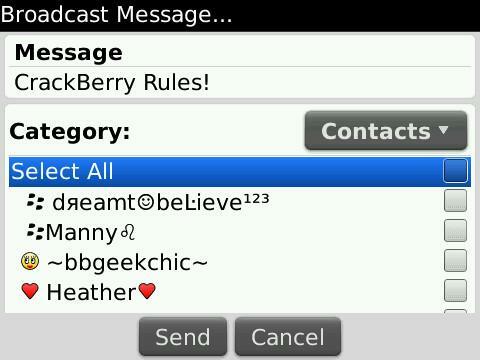 In this case you will have to open BlackBerry Messenger and scroll to the group to open the chat. 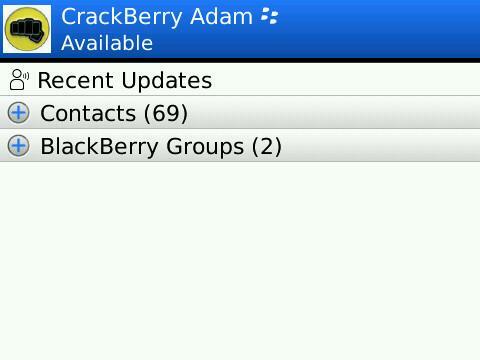 Maybe the best addtion to BlackBerry Messenger 5.0 is the ability to backup and restore contacts. 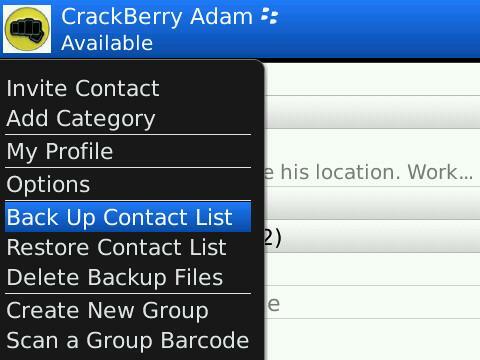 To do this, you simply choose 'Back Up Contact List' or 'Restore Contact List' from the menu. Next you will be asked to backup/restore locally or remotely. Locally allows you to choose to backup to either the device or media card, while remotely allows you to backup on a remote server tied to your email address. When you choose to restore contacts, you can just do a few menu clicks and you're done. Need more information, just want to learn more or maybe share your barcode? 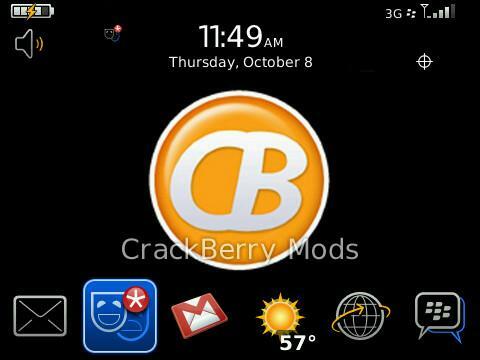 Head on over to our CrackBerry forums for all you need.